Mervyn Vermeulen attained his Law Degree (LLB) from the University of South Africa (Unisa) in 2010. In 2011 he commenced serving articles of clerkship, and was admitted to practise as an Attorney by the North Gauteng High Court on 23 April 2013. On 3 May 2013 he was admitted to appear in the High Court by virtue of the Right of Appearance in Courts Act 62 of 1995. He has been appearing in the High Courts in Gauteng on a regular basis since this date. Early in 2014 Mervyn founded Vermeulen Attorneys in Roodepoort, and still practises as such as the director of Vermeulen Attorneys. 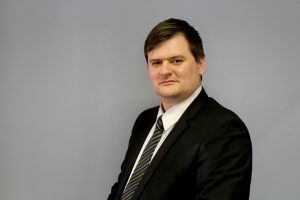 Mervyn Vermeulen has accrued a wealth of experience litigating in various forums, including the High Court, Magistrate’s Court, Labour Court and the CCMA.